A collection of recent news publications and stories about my work. It is a festival designed to celebrate Native film and empower Native filmmakers and audiences alike. Willi White is the Director of Festival and Strategy for the Indigenous Film Festival. The Festival is scheduled for August 2 and 3 in Pine Ridge, held in conjuction with the Oglala Lakota Nation wačhípi, rodeo and fair. A Lakota film maker from the Pine Ridge Reservation is on his way to this year’s Sundance Film Festival in Park City, Utah. 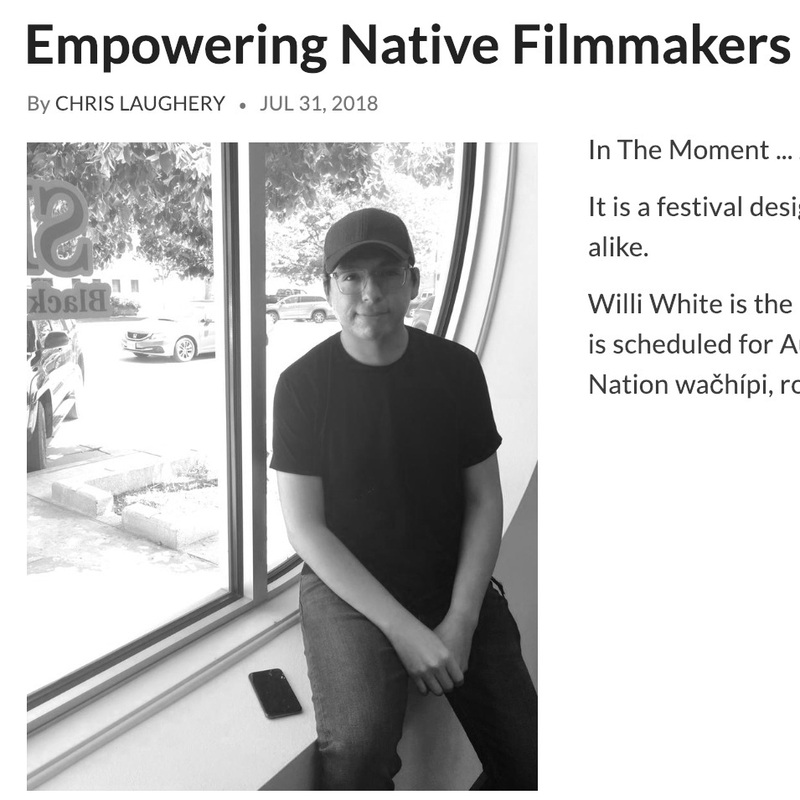 We spoke with Willi White about his work and what it means to be chosen for a fellowship in the Sundance Native Filmmaker Program. A long and winding road that began with “The Lord of the Rings” has paused at the Sundance Film Festival this week – carrying a young Lakota filmmaker with it on his journey into a lifelong dream. Sundance Institute announced today the two emerging Native American storytellers who will participate in the 2016 Native Filmmakers Lab. Shane McSauby (Grand Traverse Band of Ottawa and Chippewa Indians)and Willi White (Oglala Lakota) will attend the Lab and receive guidance from esteemed Creative Advisors. Today, we travel to Pine Ridge, South Dakota to see some photographs by Willi White. I was introduced to Willi’s work by Peter Strong, former director of the Heritage Center at the Red Cloud Indian School in Pine Ridge, who is now creating Racing Magpie gallery and artist space in Rapid City. I am featuring the international INSIDE OUT project in which Willi was asked to participate.